Why do people create? What compels them to do so? The team: Elaine Ho, Rebecca Cox, Dima Boulad. what is your secret superpower? What is your wish for the planet? Together with Sense Worldwide, we launched a new breakfast series called "The Art of Creating". I facilitated a 2hour workshop around the role of creatives in society. As creators, we don't always get the chance to reflect on our practice and the purpose of it, and this workshop was a refreshing way for us to connect and find common touch points. We handpicked 15 practicing professionals from different industries to attend, and asked each one to pick their secret superpower for the discussion. This was a way for them to experience the workshop through the lens of that superpower, and identify what compels them to create. We then ended the session with wishes for the planet. Ben's wish for the planet: Empathy and Compassion kits. 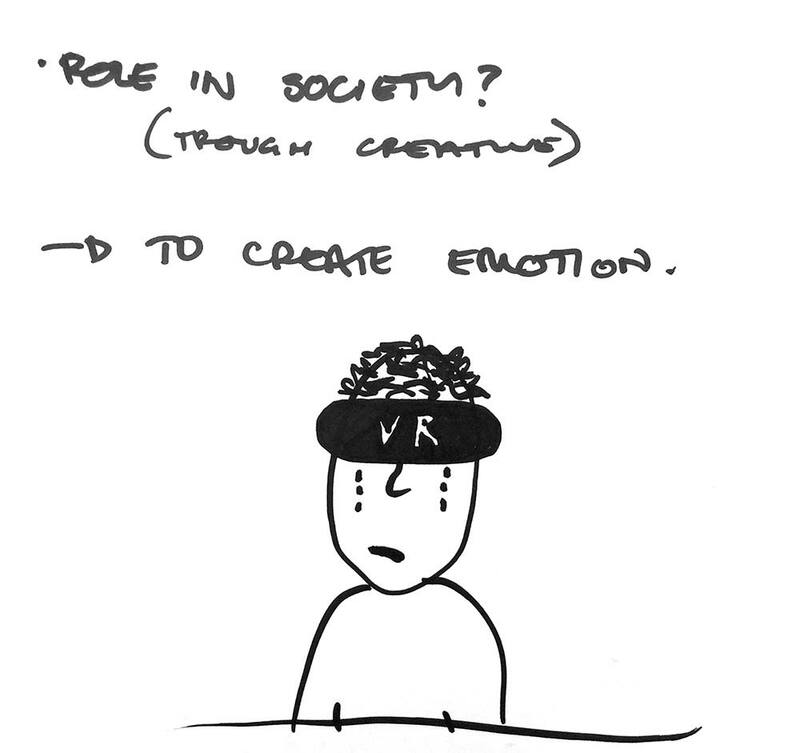 We reflected on creatives' roles in society to create emotion with Tommy. "I wish that people with the power to change things would put people's wishes into action". I particularly appreciated the political nature of Gemma's wish highlighted below. It was a nice reminder that designers and artists are capable of having an engaged role in society by observing and listening to people's needs, and communicating them to a wider audience using many different platforms and tools. 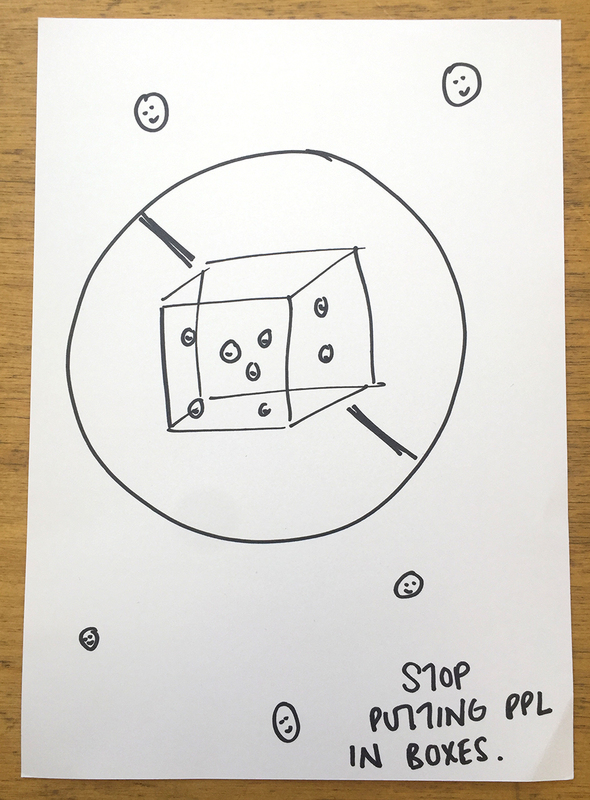 By the end of the discussion, each participant was given a sticker pack with different geometric shapes. Two creators given the same elements will have different interpretations and create something completely different. 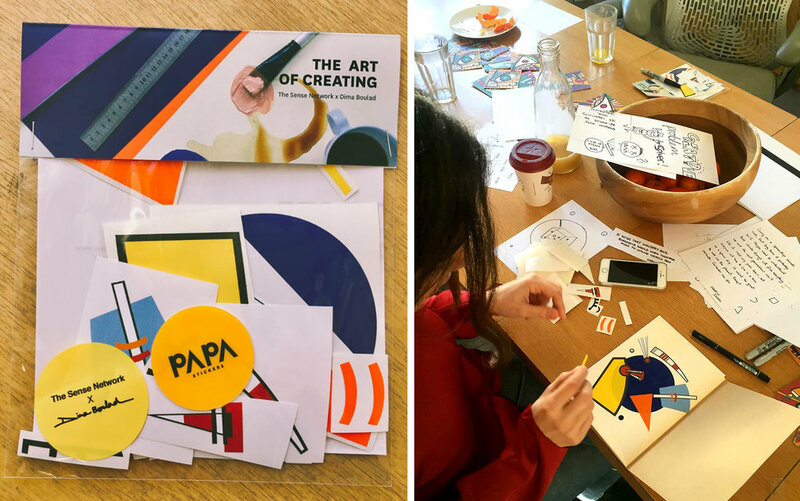 PAPA stickers were partners and printed sticker pacls that were assembled and shipped to more than 80+ creatives around the world. We ended the day with a happy hour mural painting at the office to celebrate our workshop and conversations and create an opportunity for everyone to network and connect. A work in progress of the mural.